If you have ever been interested in personal security, then surveillance camera installation is important to consider. Personal surveillance cameras have changed immensely in the last few decades, and we are here to help you sift through the new information. 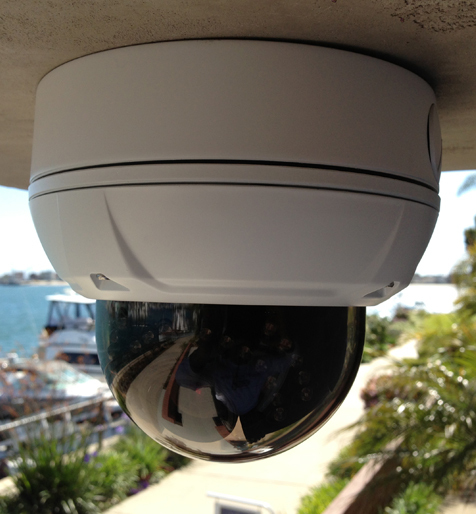 If you are thinking about surveillance camera installation, one of the most important changes to keep in mind is that surveillance cameras no longer consist of black/white setups connected to a tape recorder. Modern cameras are typically full color, with zooming and panning capabilities and easy remote access. They are so easy to use, you can monitor your house from hundreds or thousands of miles away in real time! There are important specifications to consider when you are looking to protect your home and family. Keep in mind that many modern surveillance cameras can be accessed with either a laptop or even an app on your phone. These are alerts that ping you anytime motion is detected within a certain "zone." Typically these will fire and send an alert to your phone. The primary benefit of an activity alert is that it allows you to filter out background activity. For example, if your house is next to a street with a lot of pedestrian traffic, there could be many people walking by each day. An activity alert can then be designed to notify you only when someone is close. How does the camera store its recorded data? Some cameras have in-built cloud capabilities and can automatically upload their recorded information. Others have internal storage that must be accessed later, usually in an SD card. Tamper alerts are an important feature if you are installing your camera in a high-risk area. Typically, these are built with tamper-proof screws and metal casing that are harder to damage or destroy. A camera with two-way communication usually has a speaker and microphone that you can use to communicate with whoever is on the other end of the camera. For example, if a person rings your doorbell camera, it can activate your app, allowing you to communicate with them verbally and visually. Of course, they cannot see you! Zoom is the camera's ability to expand a distant object. Each surveillance camera will have different zoom capabilities, and this is an important feature to consider. Often, cameras can lose focus when zooming, so keep this in mind. Pan is the camera's ability to turn (usually left and right). Many cameras are stationary, but if you have a large area to cover and wish to purchase minimum cameras, this might be a great option for you. Surveillance camera installation can be a daunting task, so make sure to consult with a professional to ensure that you have chosen the right camera in the right places. Stay safe!